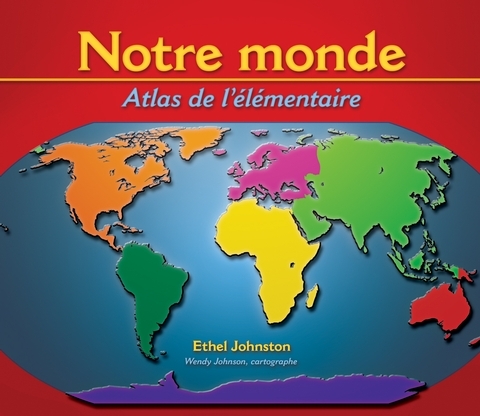 Notre monde - Atlas de l'élémentaire, an educational resource by author Ethel Johnston, Geography Specialist and Consultant with the Toronto District School Board, is geared specifically to primary students. 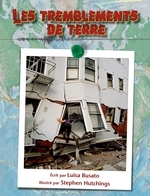 This user-friendly atlas reinforces classroom learning and builds on prior knowledge. The resource features graphics and photos on every page to reinforce content and concepts. 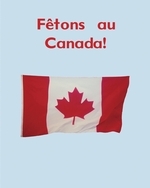 It improves learning and ensures a developmentally appropriate progression reading, geography, and mapping skills. It teaches students how to read and use maps by developing an understanding of the various elements of maps, such as perspectives, symbols, legends, scales, distances, and grids. My World, An Elementary Atlas meets all related outcomes of the program of studies for Grades 1, 2, and 3, and is a valuable supplement for Grades 4, 5, and 6.